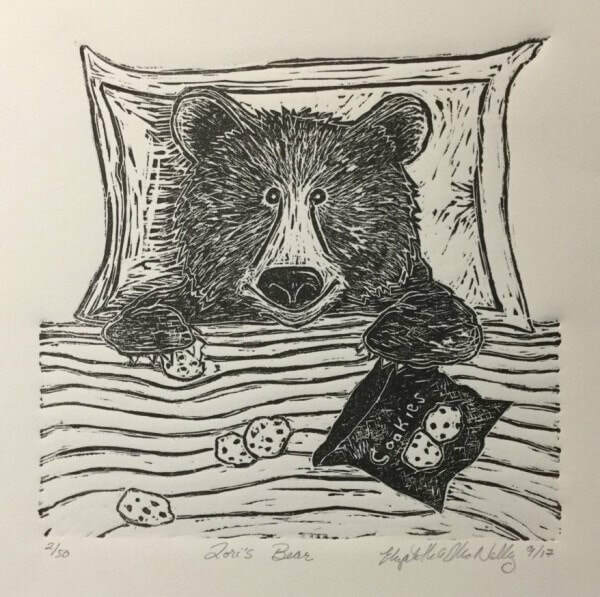 Elizabeth Ann McNally is an artist and printmaker residing in New Britain Connecticut. She chooses to work in both narrative and nonrepresentational content. 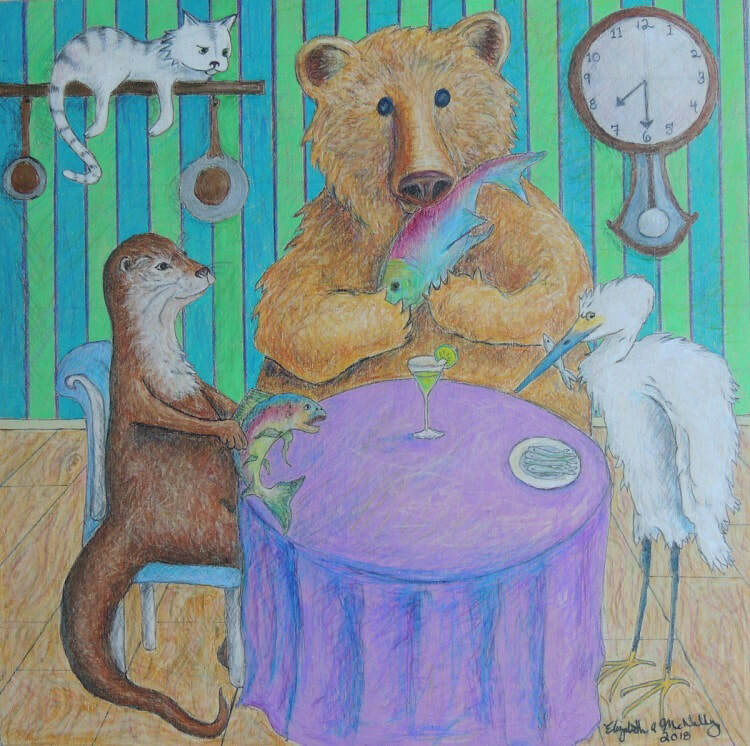 Key elements in her narrative work are animals, humor, and the graphic use of line. In her nonrepresentational art, color, line, pattern and the properties of the material and medium, are the sole focus of compositions. Elizabeth has a bachelor’s of fine arts from the School of the Art Institute of Chicago (SAIC) with a focus in drawing and printmaking. After graduation, her work was chosen to represent SAIC in admissions slide shows and on the SAIC website. She has work in the collections of the Children’s Library at the Chicago Field Museum and the UConn Hospital. 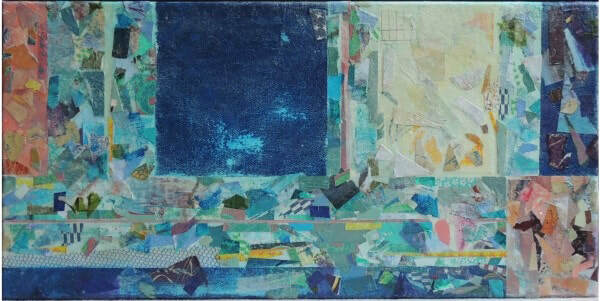 She has won numerous awards in juried shows as well as recognition for her solo shows. Elizabeth and her first solo show, “Playful,” in the Barnes Franklin Gallery, was featured in the Greater Hartford Arts Council’s blog, “Artists Spotlight”. In 2018, Elizabeth and her exhibit, “Do Not Feed the Animals!” at the Fisher Gallery was a featured article in the Hartford Courant. Recently she was interviewed on Nutmeg Chatter for station WAPJ and NPR’s Robin Hood Radio. As an artist I alternate between two types of artistic content, narrative and nonrepresentational. Working this way allows me a sense of retreat, variety, and reinvigoration. In narrative work, I share my sense of humor and passion for animals, particularly woodland animals. Animals fascinate me and people relate and identify with them as extensions of themselves. It excites me to see and hear how observers bring different associations and interpretations to life when viewing my work. This creates collaborative art with the audience. Creating nonrepresentational pieces exemplifies the intrinsic value of the mediums, the materials, and the compositional elements. Eliminating subject matter focuses the concentration on pure beauty. This work is a personal expression of subjective experiences.